Cocaine is a powerfully addictive stimulant that is purified from coca leaves. The first known use of cocaine dates back to 3,000 BCE when the ancient Incas of the Andes reportedly chewed coca leaves to improve their heart function in their high-altitude habitat. Almost 5,000 years later, in 1859, the German chemist Albert Niemann successfully isolated cocaine from coca leaves and made it medically usable. In the 1880s, cocaine became a popular pain reliever and anesthetic. Today, street cocaine is illicit and classified as a Schedule II drug under the Controlled Substances Act. Cocaine is still manufactured pharmaceutically as an anesthetic for use strictly in medical facilities. Typically, individuals who abuse cocaine either snort or inject this illicit drug. The routes of administration directly relate to the signs of cocaine use that may be observed. As the National Institute on Drug Abuse notes, a person who snorts cocaine is susceptible to nosebleeds, a diminished sense of smell, and may appear to have a constant runny nose but no other cold symptoms. In some people, nose cartilage may be damaged. An individual who injects cocaine will have needle marks on their arms or wherever else they shoot this drug. When intravenous drug use is chronic, needle marks are not usually localized to arms but may appear all over the body. As veins collapse, or are otherwise damaged, intravenous drug users often seek out injection points all over the body. Cocaine is considered a short-acting drug (hence, to maintain a high, individuals may repeatedly consume it in a contained time period, such as throughout an evening at a party). The effects of cocaine typically last 30 minutes to two hours, but injecting cocaine can lead to a shorter, more intense high. In some instances, concerned persons may not become aware of cocaine abuse until the individual who has been using this drug is in the withdrawal phase. Withdrawal symptoms arise when a person becomes physically dependent on cocaine and then stops using this stimulant or significantly reduces the familiar amount taken. According to research, symptoms are typically most acute in weeks 1-10 of withdrawal. By the 13th week, the symptoms have likely subsided to a point where they are manageable or at least not too unpleasant. Anhedonia: Affected individuals may complain that they feel “blank” as if they cannot experience normal pleasure. Disturbing dreams: The person may share contents of uncharacteristically vivid and disjointed strange dreams. Depression: Referred to sometimes as part of the “crash,” the person may feel sad and have changes in appetite or sleep. Mood swings: These shifts may be rapid, such as going from calm to very angry. Poor concentration: It may be difficult for the individual to focus or concentrate on tasks at hand. In addition to physical health-related signs, a person who is abusing cocaine may exhibit behavioral signs of abuse. As cocaine has a high addiction profile, a person who regularly uses this drug is likely to manifest several visible signs. 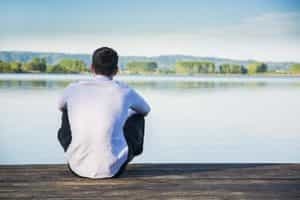 Witnessing signs of cocaine abuse can help motivate a concerned person to take the next appropriate step, whether that means having an informal conversation with the affected individual, staging an intervention, getting help from a trusted doctor or therapist, or reaching out to a rehab center for guidance and treatment. 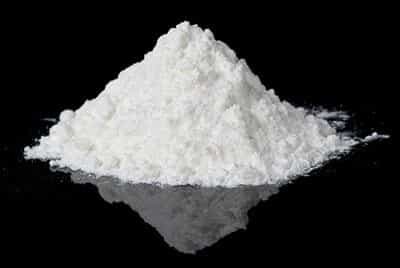 Cocaine is a very versatile drug that can be used in a variety of different ways, including snorting, injecting, and smoking. Most users pick one method in which to use this drug, and they stick with this method throughout their drug-use career. 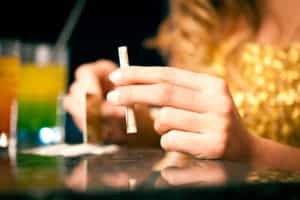 That could be a bonus for families, as the ways in which a person uses and abuses cocaine can lead to signs the family can see, smell, or hear. There are no lab tests involved with spotting the abuse. It will be there for families to observe, should they choose to do so. Someone like this might complain of symptoms, or the person might experience these symptoms in a very visible way by sniffing, snorting, or bleeding while in the company of the family. People who snort cocaine also need tools to make the abuse happen. Families that find these tools have another clue that substance abuse is taking place. Common tools include spoons, rolled-up money, glass pipes, and razor blades. People who inject cocaine mix the drug with a liquid, such as alcohol or water, and they pull that mixture into a needle that can be pushed into a vein or artery. Each injection is a wound that leaves a tiny dot of damage behind. An individual who injects cocaine will have needle marks on their arms or wherever else they shoot this drug. When intravenous drug use is chronic, needle marks are not usually localized to arms but may appear all over the body. As veins collapse, or are otherwise damaged, intravenous drug users seek out injection points all over the body. People who inject cocaine are often in a hurry to get the drug into the body as quickly as possible, and sometimes, they push through the blood vessel and into tissues on either side of that vessel. As the organization Harm Reduction Works points out, when the vein is missed, the needle enters a warm, moist, dark space that is perfect for bacteria growth. As a result, people who inject drugs often have nasty pockets of dead skin near the spots where they inject drugs. Those can be painful, and at times, they can cause intense swelling. A smokable, crystalline form of cocaine is available. This so-called crack cocaine is often much less expensive than powdered cocaine, which makes this a habit people might be able to sustain for long periods without financial distress. That might explain why, in a study in the journal Addiction, researchers found that 63.3 percent of people who use crack kept using it throughout the entirety of a 10-year study with no breaks. It is easy to buy and use, and, unfortunately, it comes with few visible symptoms. Crack cocaine is made by mixing pure cocaine with a number of dangerous chemicals. As a result, the crack people smoke is noxious and unhealthy for the lungs. People who smoke it might hack and cough much of the time, and they may even cough up bits of dead lung tissue. Smoking crack also produces a signature smell of chemicals and sweetness. That smell might linger on the person’s breath or clothing. The room in which the person smokes might also smell like crack. Tools a person might have in order to smoke crack include glass pipes, lighters, filters, and spoons. Since crack is inexpensive, the person might also have a stash of crack in a pocket or in a room, just waiting for use.